Hello Conley, sorry to learn of your Dad's passing. Hope you can get some fishing in this summer. A note of Sympathy. Though words, however gentle, cannot take your loss away, Still May this note of sympathy help comfort you today. God's blessings! Dean & Marian Barjenbruch. I sure enjoyed visiting with Delbert when I would deliver his lunch. Giving me some history of Scribner with his newspaper clippings. I want to express my deepest sympathy to the entire Moeller family at the passing of Delbert. I have fond memories of our baseball days in Scribner and the support we all got from Delbert. 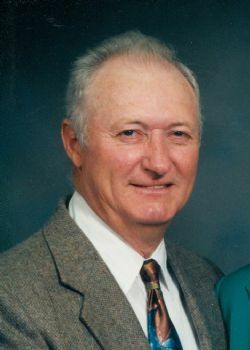 Heartfelt condolences to all in Delbert's family. Thinking of all of you. My sympathies. Many memories of you family come to mind.neighbor hood birthday parties, driving Cynthia and Ruth tò H S, fishing stories, ball stories, music stories. Blessings to all. Our sympathies to all the families. Many happy memories of him over the years.